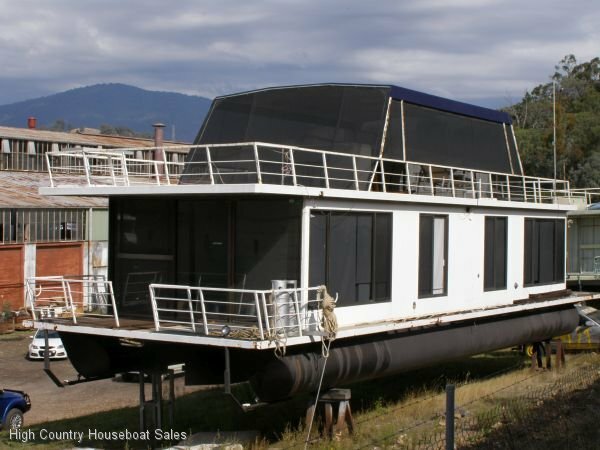 Remove this houseboat from Lake Eildon and deduct around $60,000 from the Asking Price. 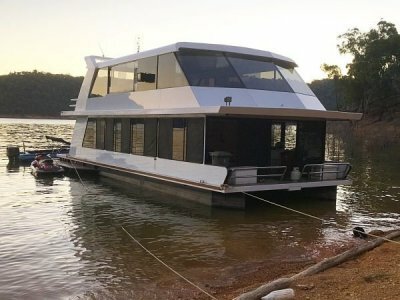 Are you a handyman that can see through a bit of a mess and see the potential with a little hard work to finish off a houseboat renovation and then own a beaut boat on Lake Eildon? "BB" has been undergoing a significant renovation and the owners plans have changed. 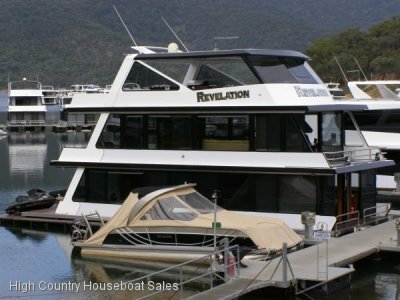 This is your opportunity to finish off the renovation and own a beaut boat on Lake Eildon. Works completed:- new layout with rear lounge; new internal stairs; new flooring; new kitchen; new bathroom; new gas appliances; new rear deck & pontoons repainted. 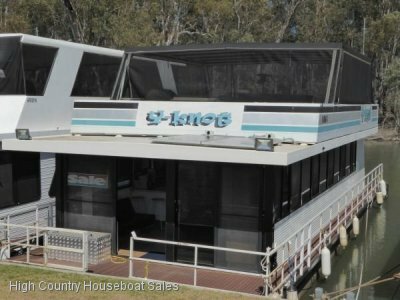 Finish off the work whilst "BB" is in the Yard over the Off Season and look forward to next season enjoying great times on Lake Eildon. For More Detailed Information & Access To Extra Photos Please Click On "Email The Seller For More Information". BR1: Queen bed; Front view; Cupboard, New Bosch Hot Water Service. BR2: Queen bed; Overhead cupboards. Kitchen: New kitchen; Servery x 2 stools; Stainless steel benchtops; New World Oven, Grill, 4 Burner Cooktop new; Fridge/Freezer; Pantry. New Bosch Hot Water Service. POWER: Robo Car Power TMG5000LBi Generator; Inverter; Solar panels x 2 lge + 1 sm; Volvo Penta 4 cyl motor; Motor start battery.